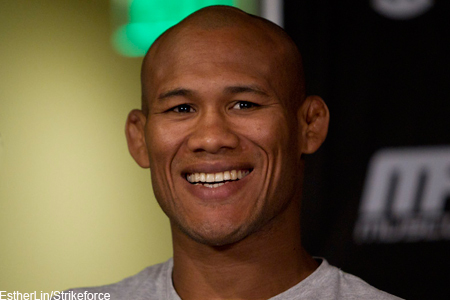 Ronaldo “Jacare” Souza (Pictured) should be sporting a giant Kool-Aid smile. The former Strikeforce middleweight champ pocketed a cool $94,000 for just 41 seconds of work this past Saturday. Despite serving as the event’s biggest superstar, bantamweight queen Ronda Rousey earned only $40,000 for submitting Sarah Kaufman in the show’s featured attraction. Half of Rousey’s paycheck came courtesy of a win bonus. Miesha Tate, who Rousey torched in March to take the 135-pound title and competed in the card’s prelims, pocketed $38,000 for beating Julie Kedzie. Additionally, they do not contain money paid by sponsors. Valley View Casino Center in San Diego hosted this weekend’s festivities.